Please leave your size selection in the notes to seller are at checkout. Your spoon ring has been formed the old fashioned way by me. I use traditional methods and tools to form your spoon ring by hand. I pick up vintage flatware from flea markets,antique stores, and estate sales. I wonder about who used them, what they cooked, and why I ended up with them. Spoon rings date back as far as the 1600s in England and were originally thought to represent love, responsibility and commitment. As the story goes, servants who had fallen in love and wanted to propose marriage would steal silver spoons from their masters’ homes and have them crafted into rings. They were too poor to afford any sort of “real” engagement ring, so this was their best alternative to offering a beautiful and valuable ring to the woman they wanted to make their wife. 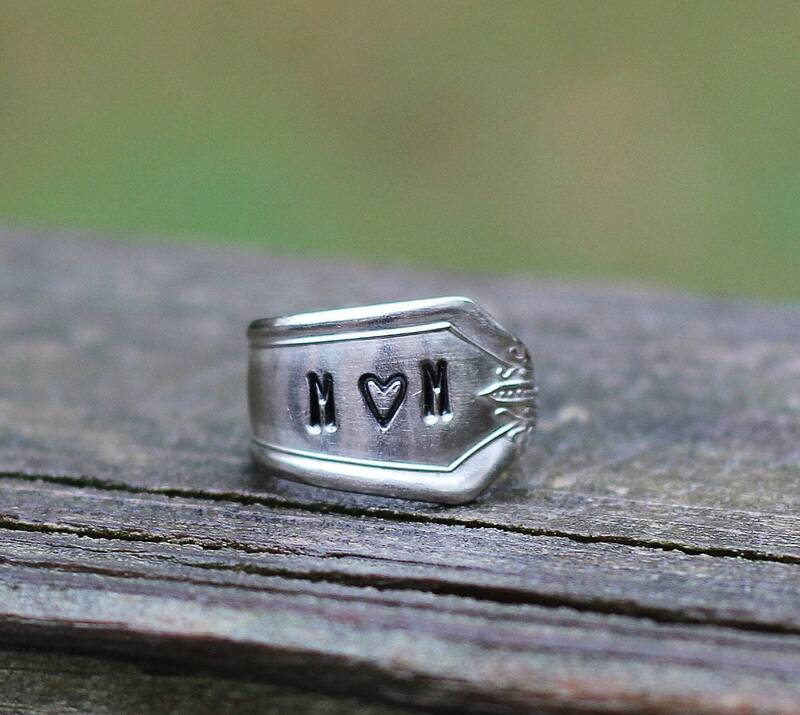 Spoon rings are a fun keepsake and can be worn traditionally or as a midi ring. Great keepsakes for fans of vintage, boho, and hippie jewelry. Spoon Ring Production time is 1-3 business days.